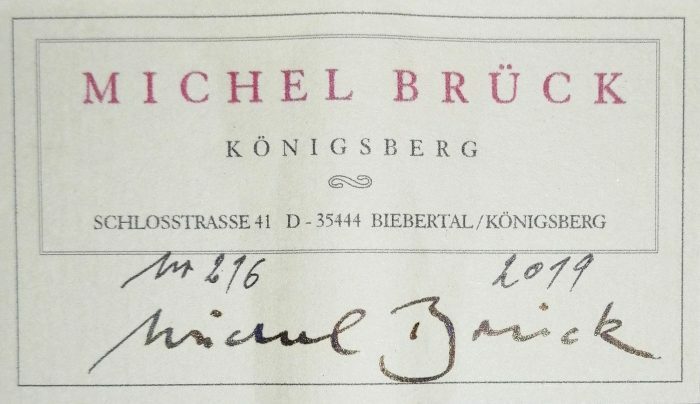 Michel Brück is one of the most known German guitar builders. 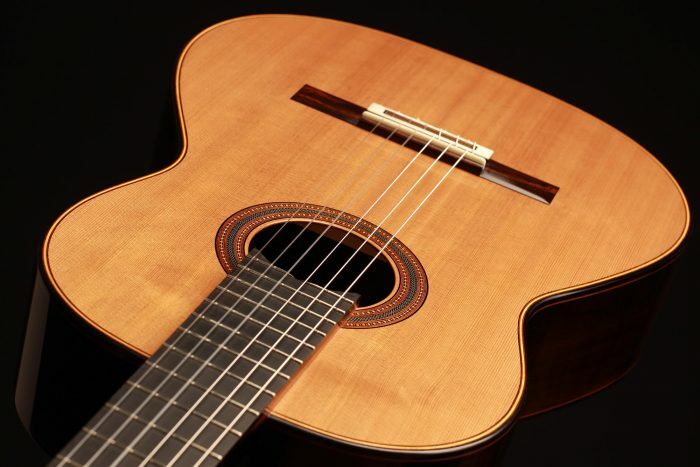 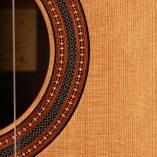 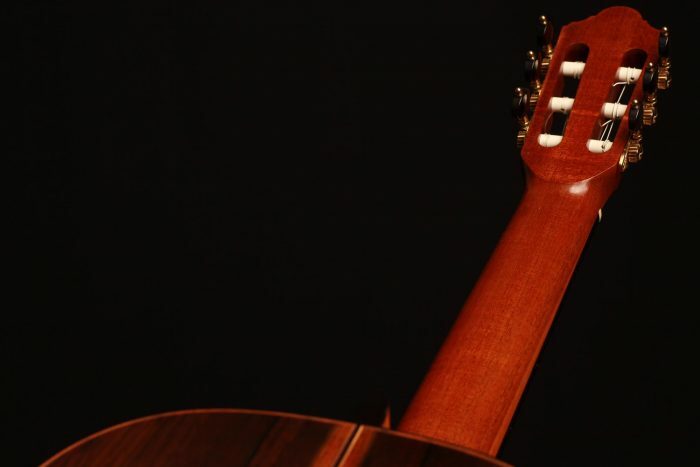 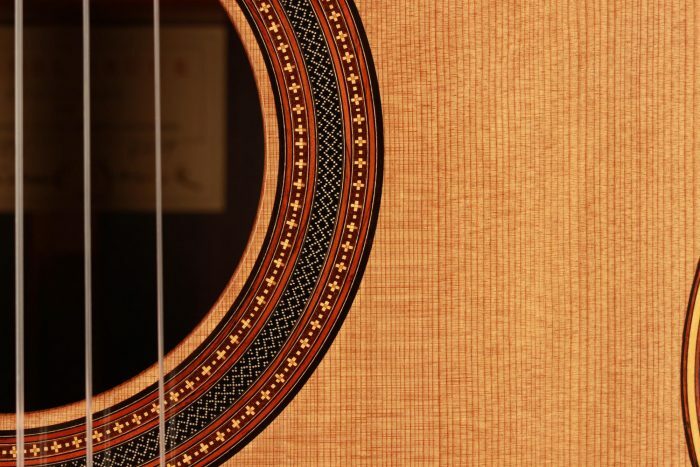 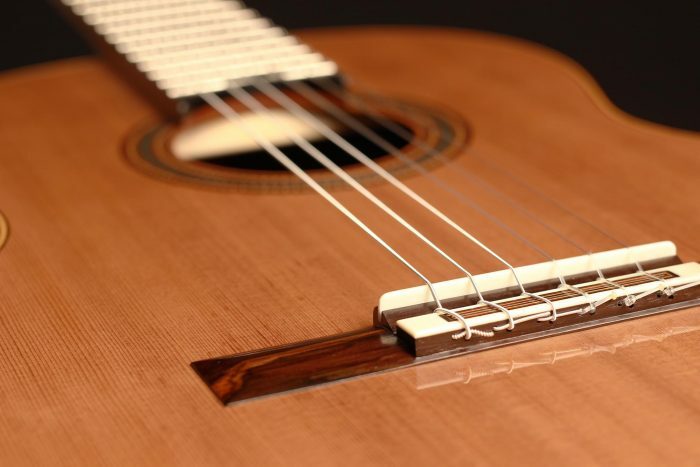 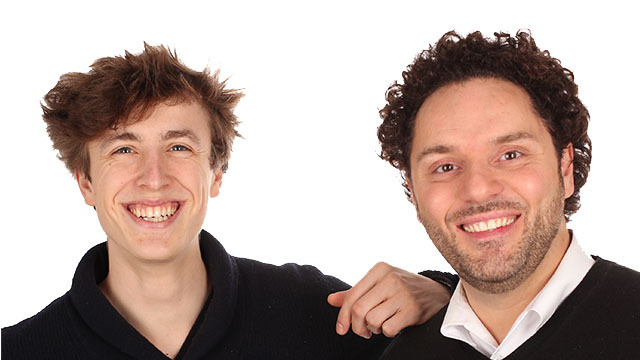 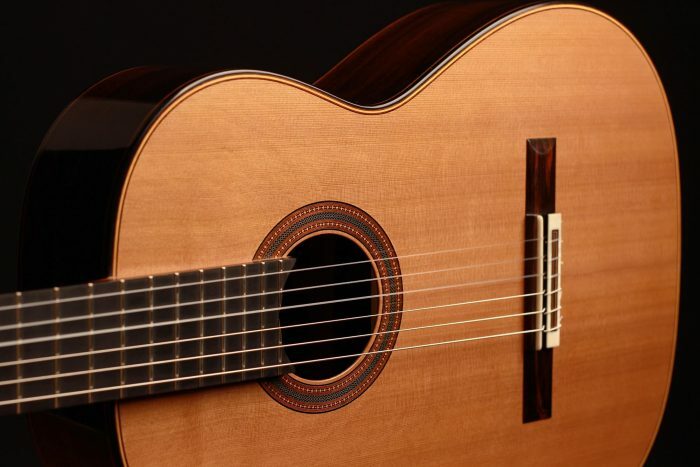 He initially focused on building traditional guitars à la Hermann Hauser and Antonio de Torres. 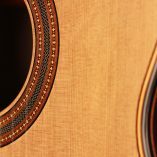 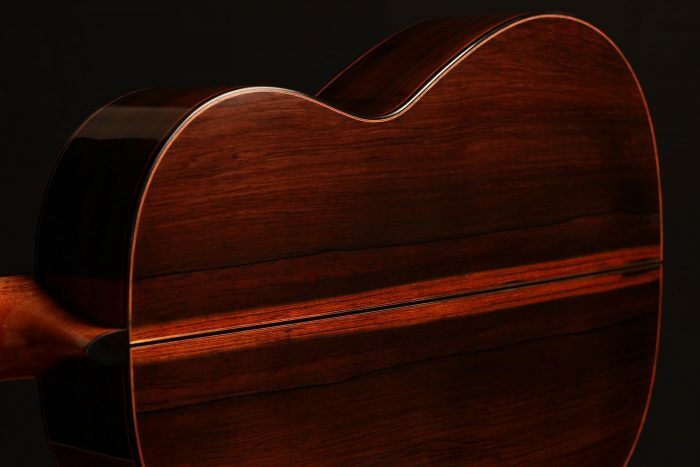 After the turn of the millennium, he became increasingly interested in the double top construction and started building his first guitars in this style. 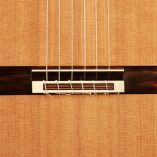 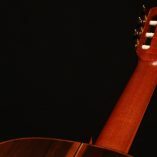 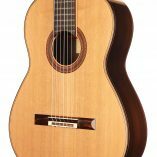 Today, Michel Brück’s double top guitars are among the most popular worldwide and the waiting time after ordering a guitar can be up to ten years. 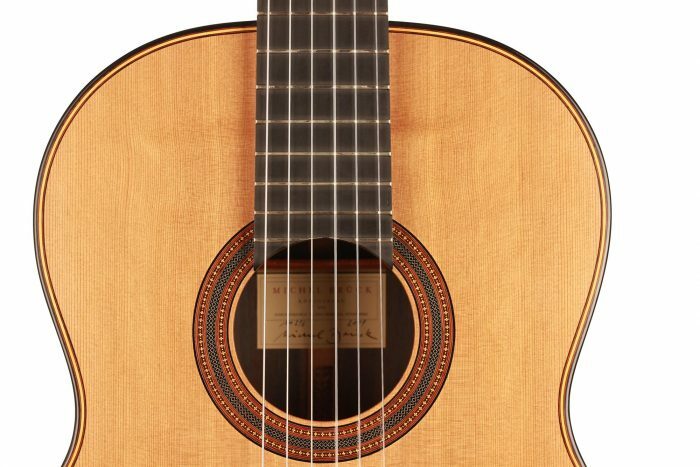 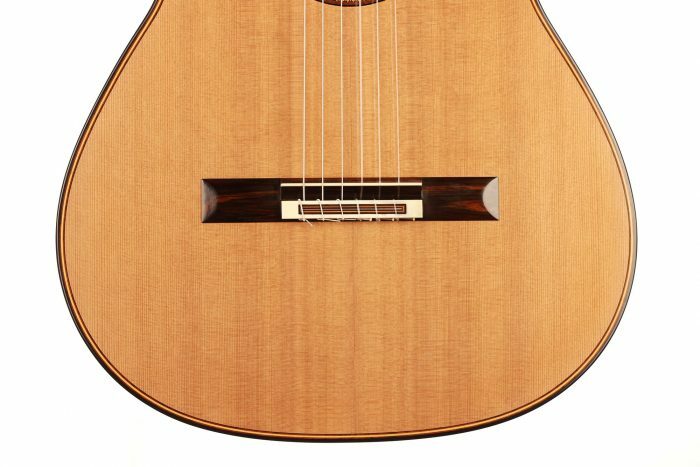 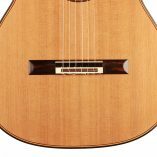 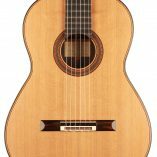 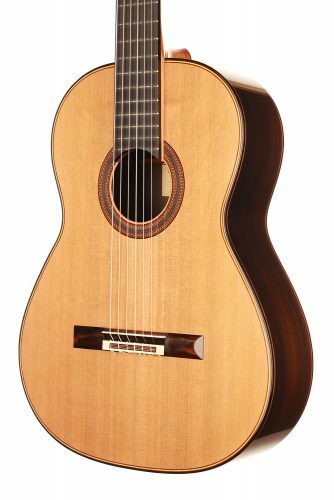 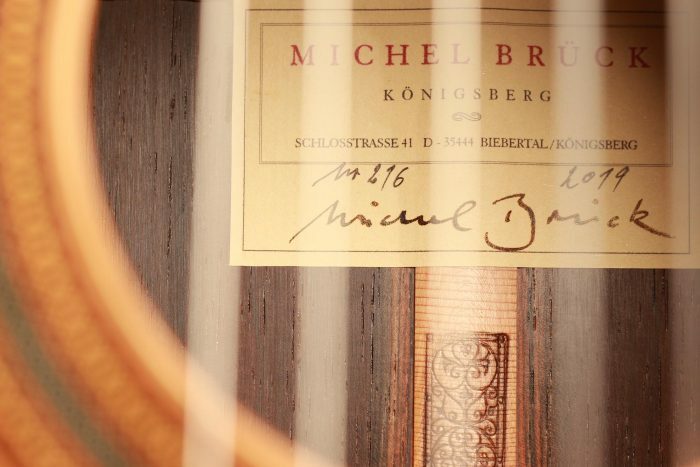 This very rare 2019 Michel Brück guitar is brand new. 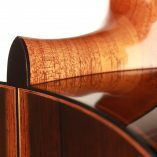 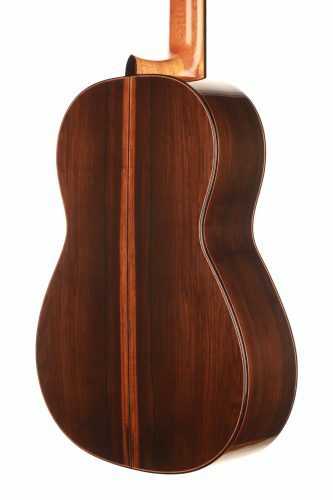 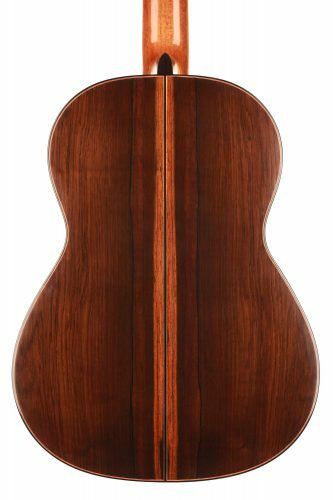 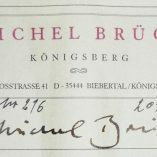 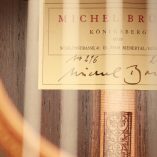 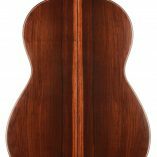 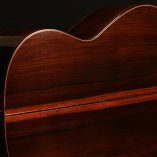 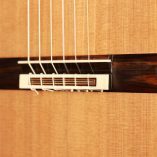 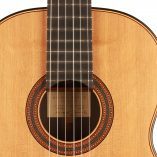 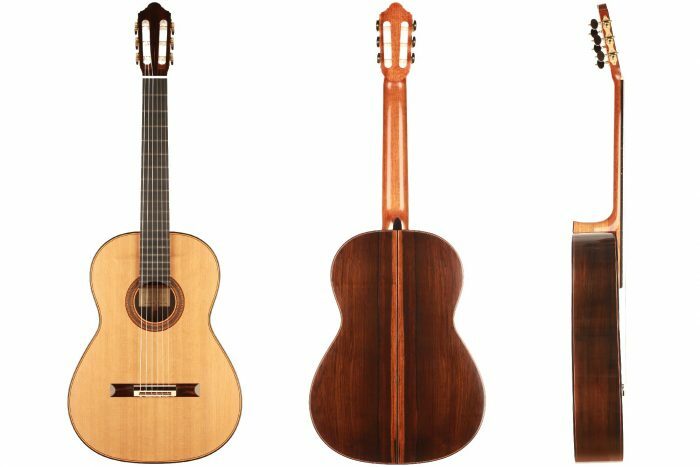 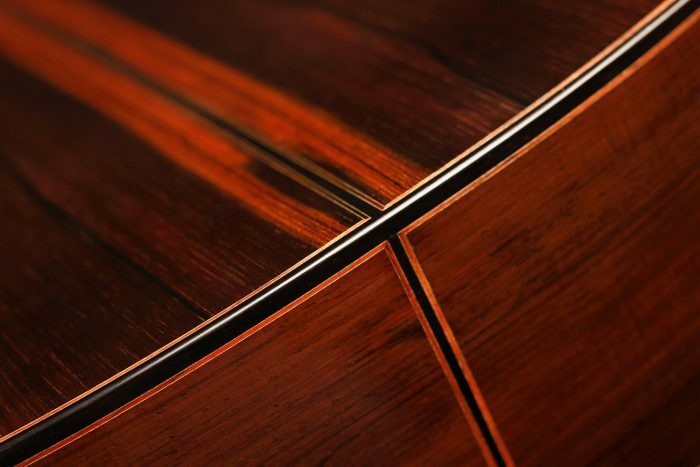 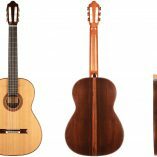 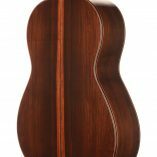 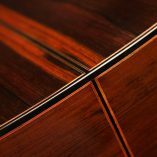 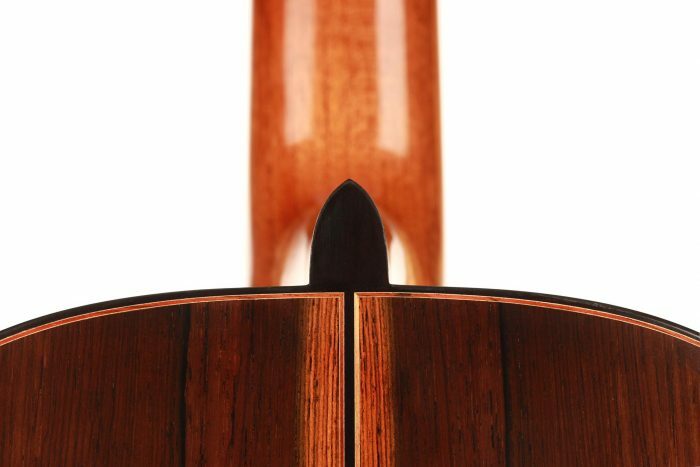 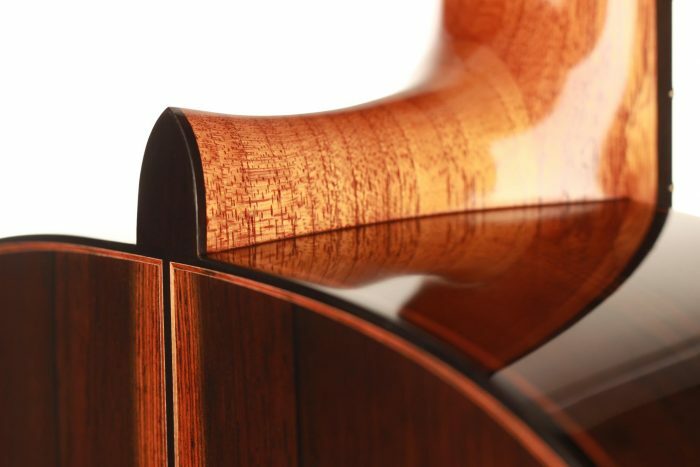 By taking a look at the pictures, you will be able to appreciate the incredible quality of the Brazilian rosewood (with CITES) used by Michel Brück. 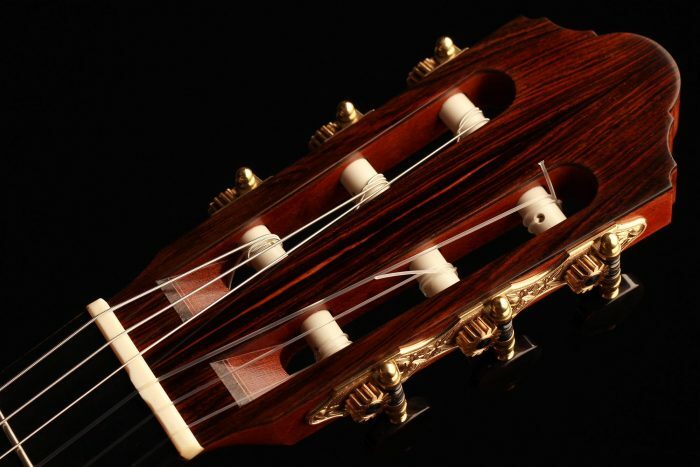 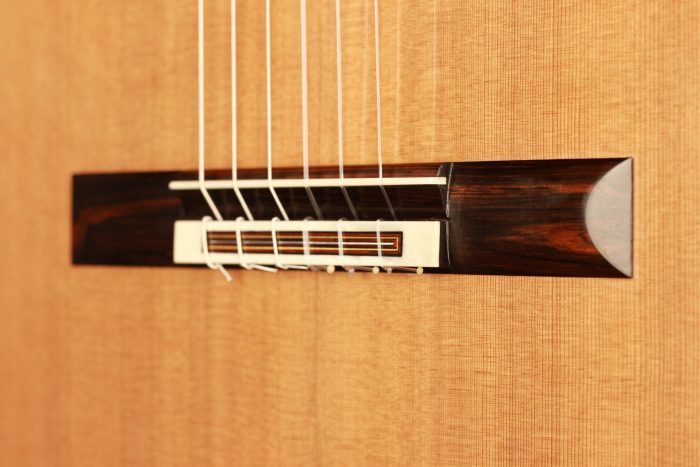 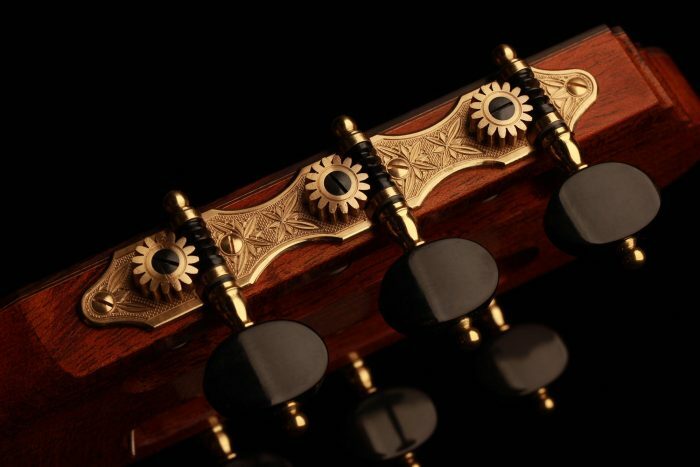 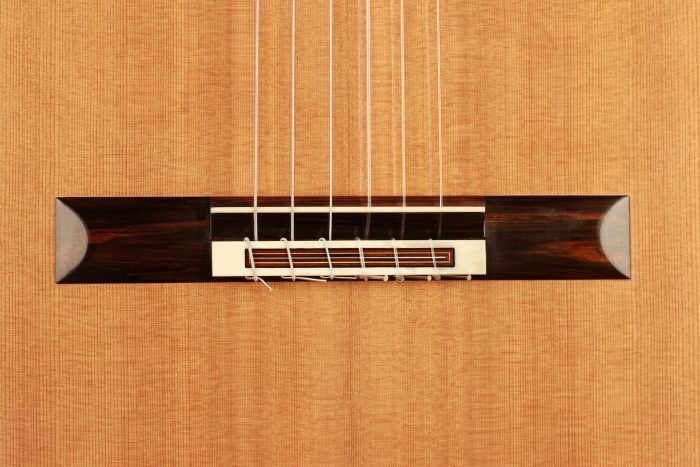 The tuners are made by Rodgers and the finesse of the lutherie on the whole instrument is breathtaking. 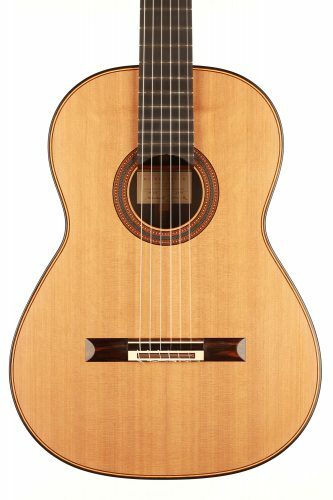 This guitar is effortless to play for both the right and left hand and its volume is just unbelievable. 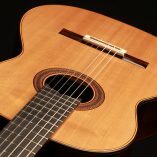 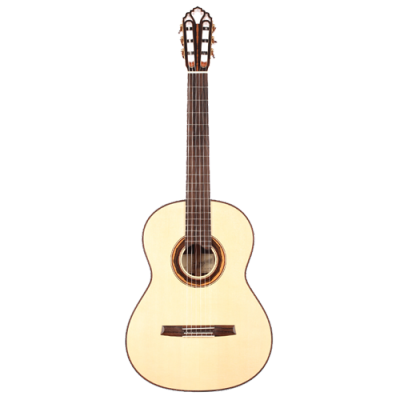 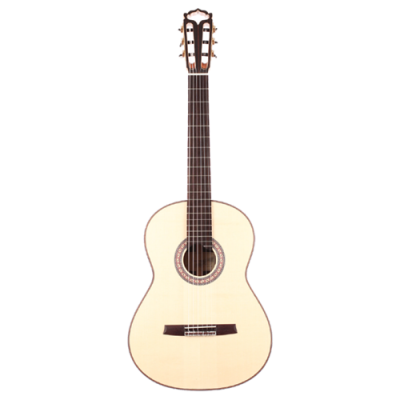 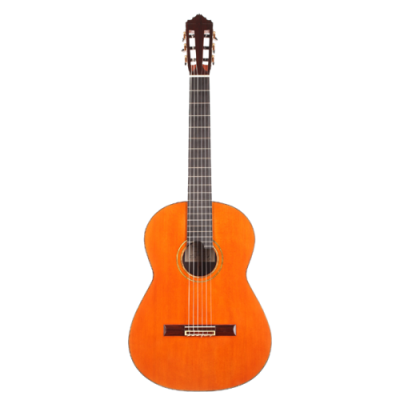 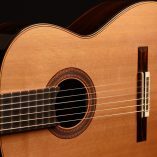 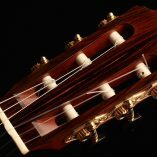 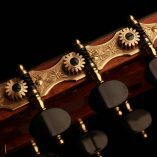 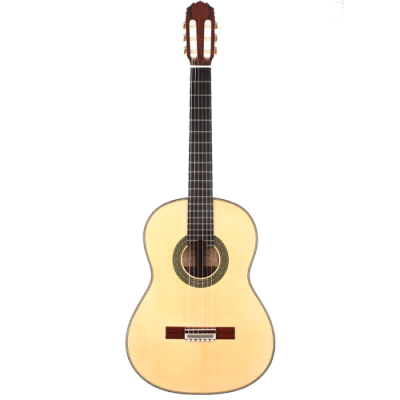 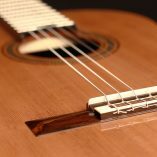 It is a very balanced guitar with a lot of overtones and a pure and clean sound. 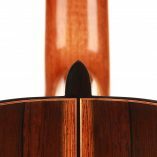 The long sustain and the orchestral sympathetic resonances make it a very lyrical instrument. 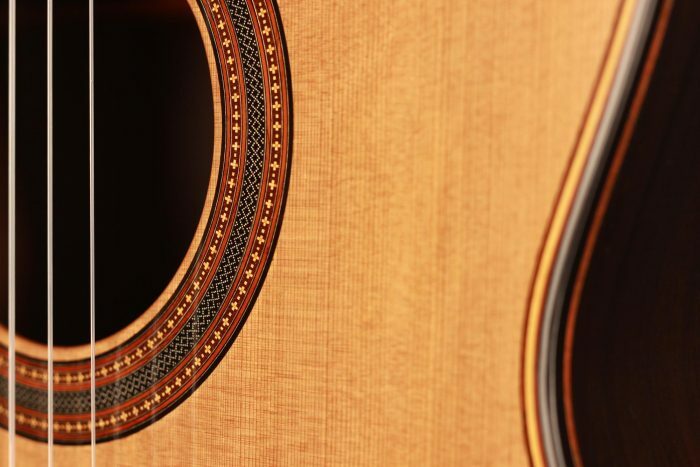 Definitely one of our favorites at the moment.